Two jets take off at the same time, There is only one runway but there where no crashes and it was at the same airport. A Plane takes more than 1min to take off. How can this happen? 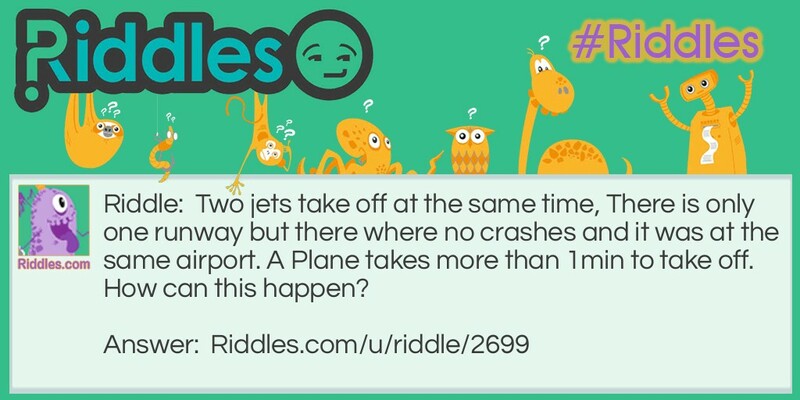 A Aviation Problem Riddle Meme with riddle and answer page link.